Most Drivers Say 0 Stars to Rideshare. So, Who’s in the Backseat? It could be that most active drivers out there simply never use on-demand transport networks to get around. That’s not only understandable; it’s completely logical. Why pay for a stranger to schlep you about when you’ve got a ride of your own? At the same time, we don’t have a way to gauge how these “none” respondents necessarily feel about having rideshare options at their fingertips, or their relative access to taxi service. Is there a war on rideshare, and if so, why don’t all Americans fall into the same camps? The data team at Insurify found a handful of fascinating insights into who’s riding in the backseat, and who’s opting out. 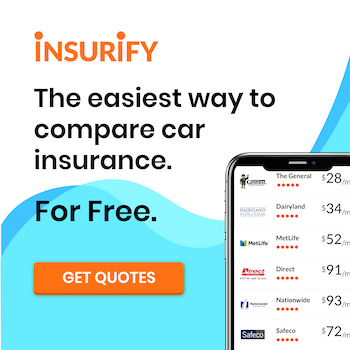 The data scientists at Insurify, an auto insurance quotes comparison website, collected information from their database of over 1.6 million car insurance applications, which ask questions about users’ past seven years of driving history, vehicle type, and other relevant information. A random sample of shoppers was also surveyed about their rideshare or transportation network company (TNC) preferences; specifically: When you aren’t driving, which form of on-demand transportation do you prefer? From the response data, Insurify’s data team was able to determine the significant differences between categories of respondents. Results: The war on rideshare? While a vast majority of respondents gave a resounding “no,” Uber reigned supreme among the rest of the pack. And while the small showing for taxi might not necessarily be the death knell for the cab industry, it may speak to the paucity of this service in many regions of the country. Ever need to rush to work in an Uber? There appears to be a significant correlation between rideshare or taxi usership and employment. Respondents who reported using any type of on-demand transportation were about 7 percent more likely to be currently employed than those who did not. For prestige services, the chances of rider employment increased. Those who prefer Lyft were about 14 percent more likely to be employed than those who typically do not use an on-demand transportation service. For those who Uber, that figure was around 9 percent higher likelihood. Rideshare apps: a gendered divide? There’s a reason the Germans have a word for the “Over-Man”: Übermensch. But it’s not necessarily because of this stat: Uber had the highest percentage of male respondents of any category this survey. Those preferring Uber were around 15 percent more likely to be male than all other respondents. Is Uber a boys’ club? It was the only option in this survey that ended up being majority-male. When assessing the gender breakdown of the results, it’s also notable that those choosing “None” were 11 percent more likely to be female. Is this evidence of a rideshare gender gap, or simply noise? One thing’s for sure: the industry’s taken notice of how rideshare experiences can vary across genders. Startups like Safr are disrupting gendered notions of rideshare safety by empowering users to select the gender of their driver. GEDs or PhDs in TNCs? Those with a higher level of schooling are more likely to prefer rideshare services to a statistically significant degree. Respondents who reported that they don’t typically use rideshare services were around 38 percent more likely to have only a high school-level education when compared to all other respondents. Industry behemoths Uber and Lyft were the most likely to be enjoyed by those who have reached a higher level of educational attainment. Less than a quarter of both Uber and Lyft respondents had a high school education only. That amounts to a 21 percent higher likelihood that Uber riders made it past high school or a GED when compared to all other respondents. That same figure amounted to 17 percent higher likelihood for Lyft riders. As for college degrees and beyond? Uber riders were over twice as likely to have at least a bachelor’s degree as all other respondents. Lyft riders were 1.6 times as likely. It’s more of a one-off stat, but an interesting insight nonetheless: rideshare and taxi avoiders were 10% more likely to be married than all other respondents. When it came to overall share of wedded respondents, however, Uber took the (wedding) cake; 26.2 percent of Uber respondents were hitched. Despite Uber’s taking the lead here, this could be a sign that rideshare is, overall, more common among singles. But, hey, captains of ships can marry people off, right? So why can’t rideshare drivers officiate? That’s got to be worth five stars and a hefty tip.